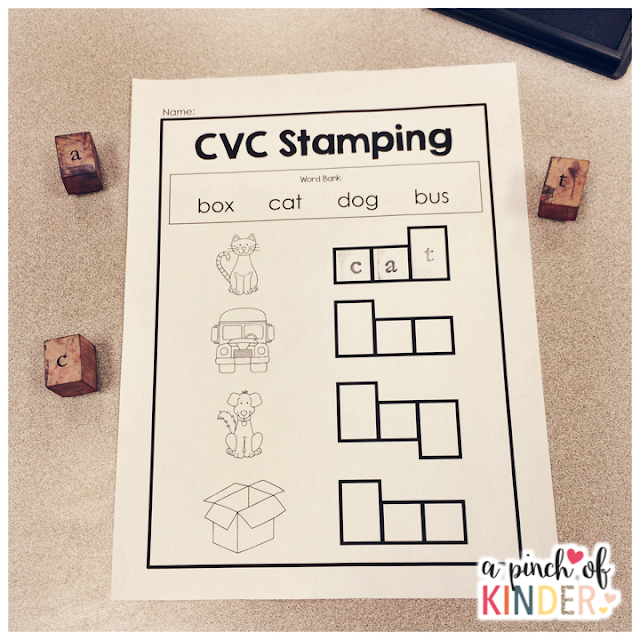 Hearing and recording sounds in words is a huge need in our classroom so I'm trying to incorporate CVC word practice as much as possible. 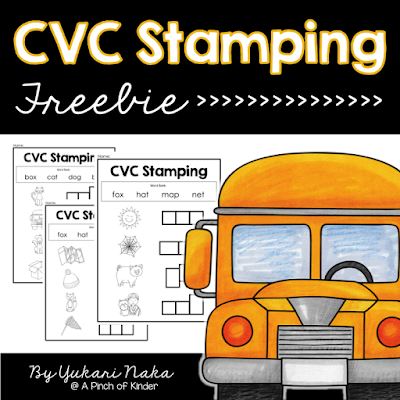 Here is a CVC stamping sheet that the kids have been loving. You can try these for free by clicking on the picture below! This is from last week but I just wanted to share in case someone could use it next year! Our school treated the kids to a pancake breakfast for Shrove Tuesday. It was first period so I needed something to keep the kids busy while we waited for our pancakes to arrive. 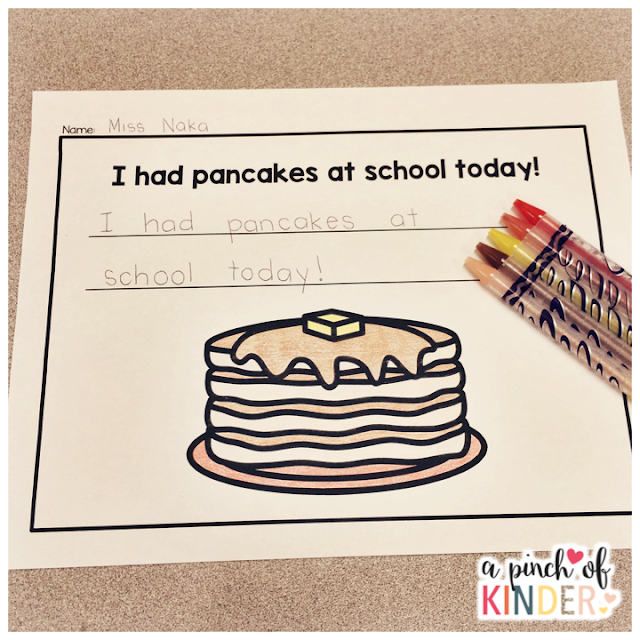 I had students colour the pancakes and copy the sentence underneath. 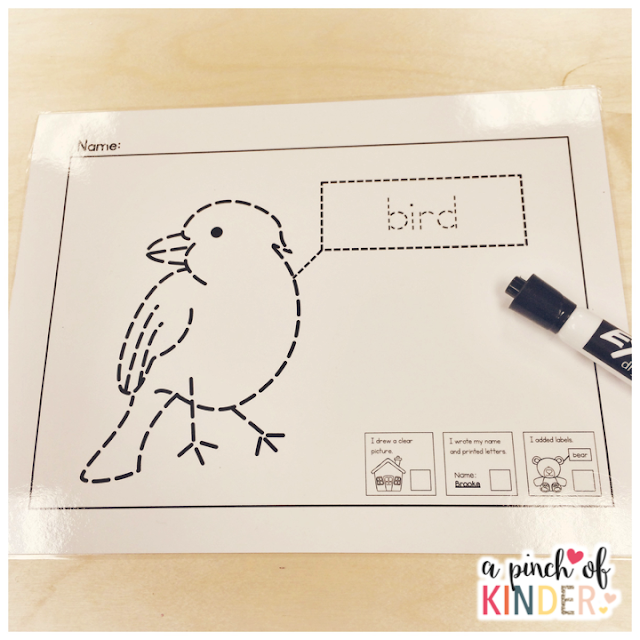 I made a tracing version as well for the kids who are still learning how to print their letters. 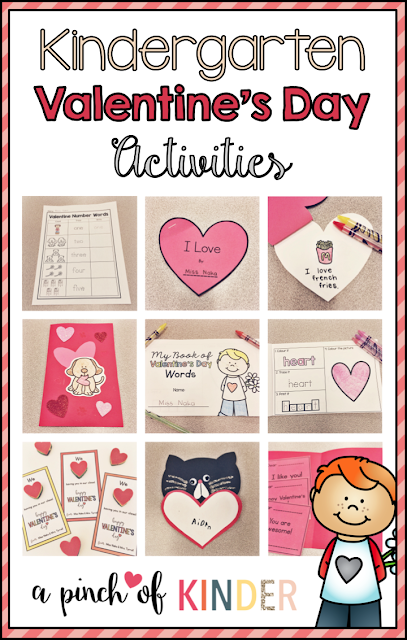 You can download this sheet for free by clicking on the image below! I also put on some pancake read aloud until the pancakes arrived. 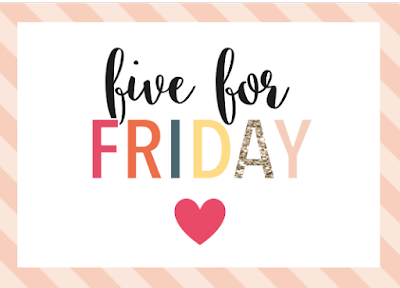 You can check them out by clicking on the links below! Our 100th day of school was this past Tuesday. 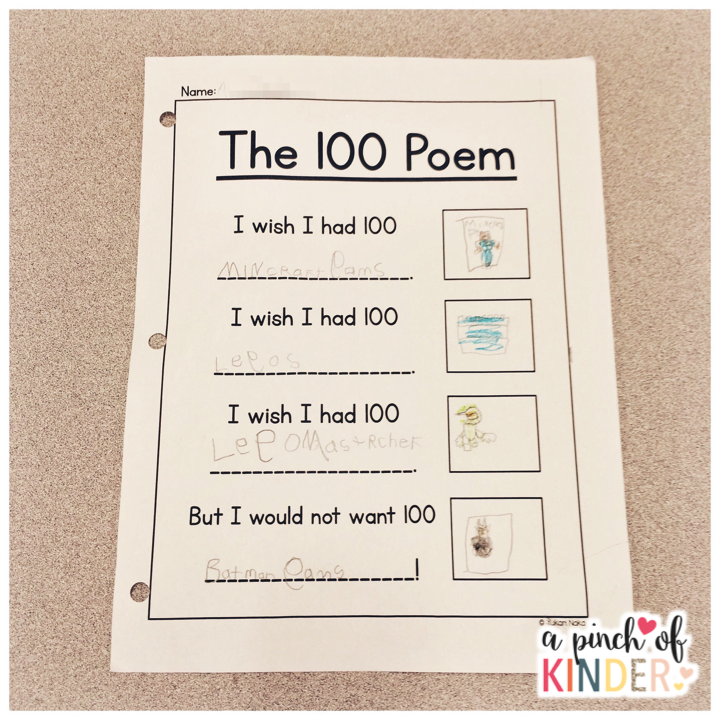 We did lots of fun activities but my favourite activity is always this 100 poem. I have the kids come up with their own ideas too. 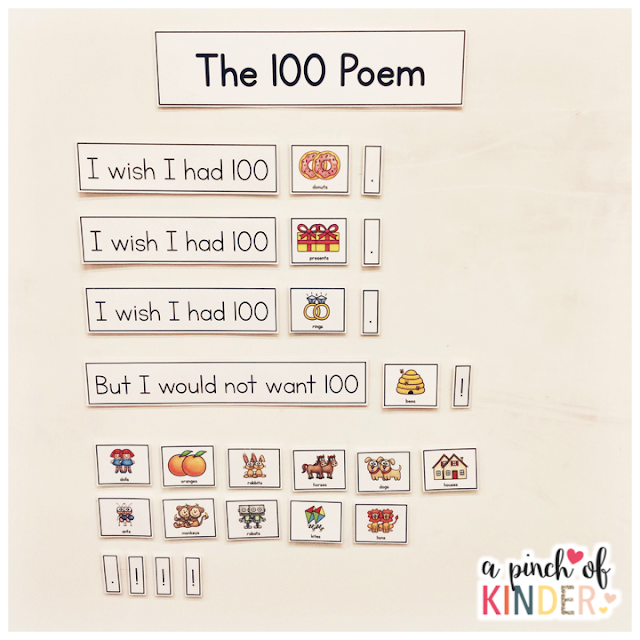 This year I stuck the poem pieces on the whiteboard so I could just hand write new words right on the white board with a dry erase marker but last year I put the poem pieces in the pocket chart and wrote their new ideas every day on a sentence strip and that worked well too! 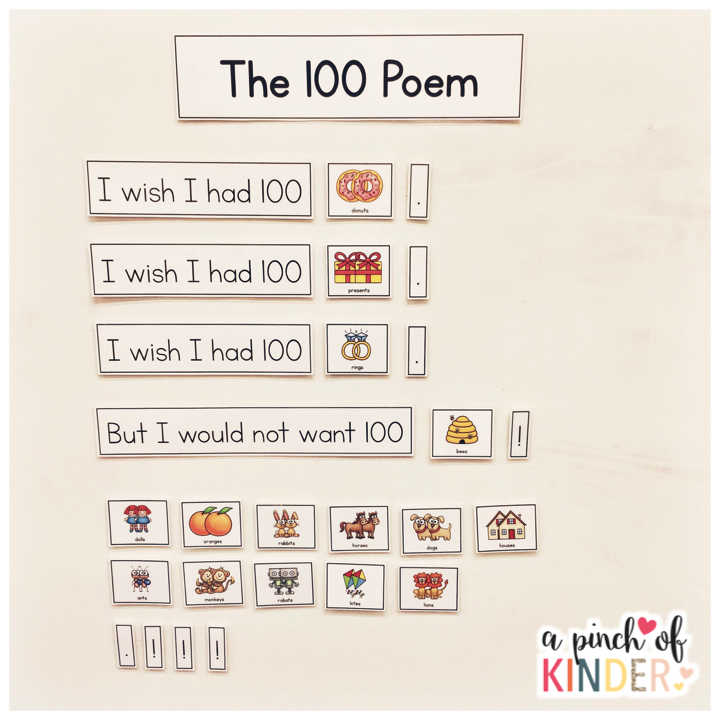 We use this poem as our shared reading for the week and come up with new ideas every day. 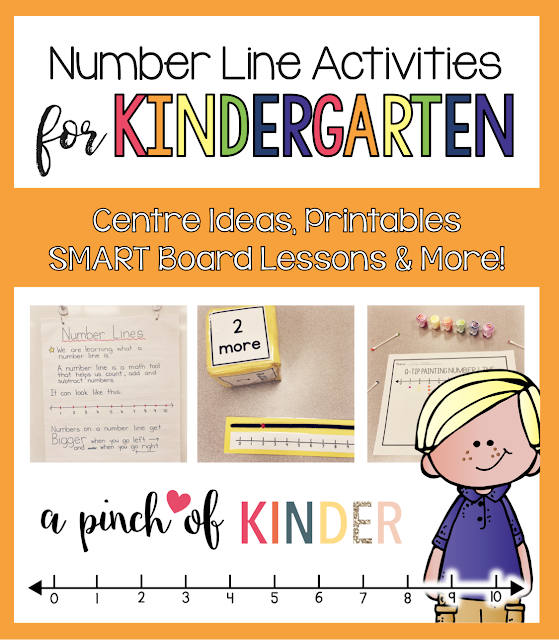 I also leave this sheet out so that they can record their own ideas at centre time. 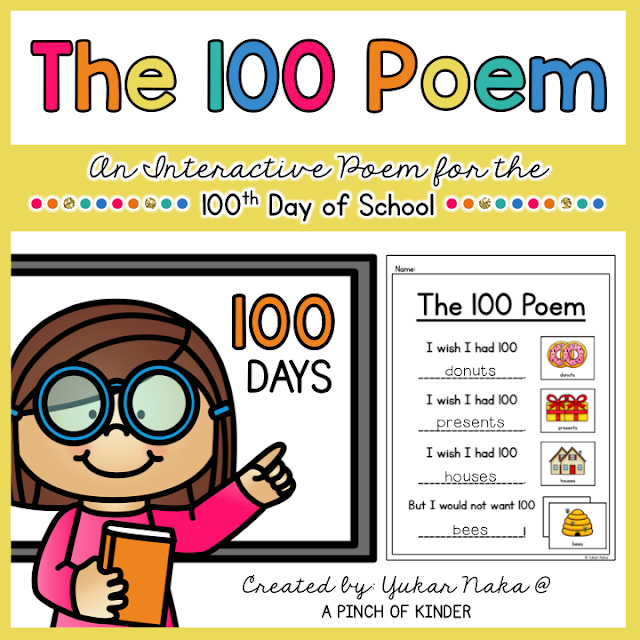 The poem pieces and the recording sheet is just $1 on TPT! 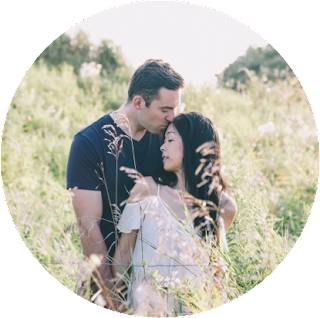 You can click on the image below to check it out. 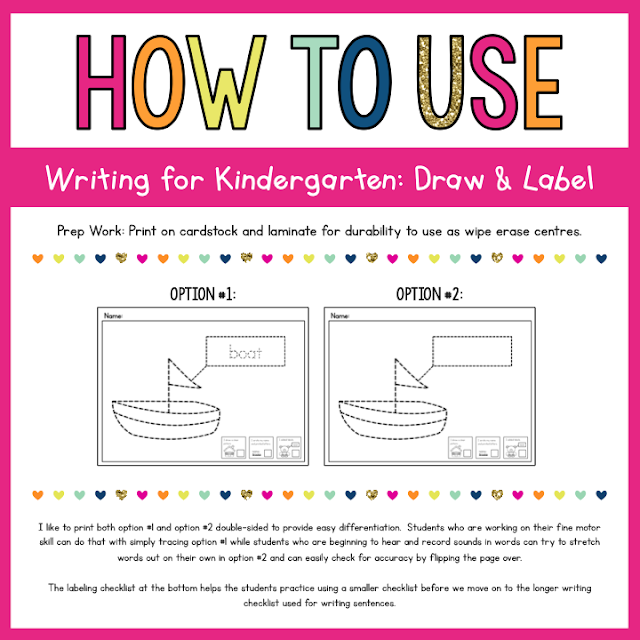 Two of our writing goals is to draw a clear picture and label pictures. 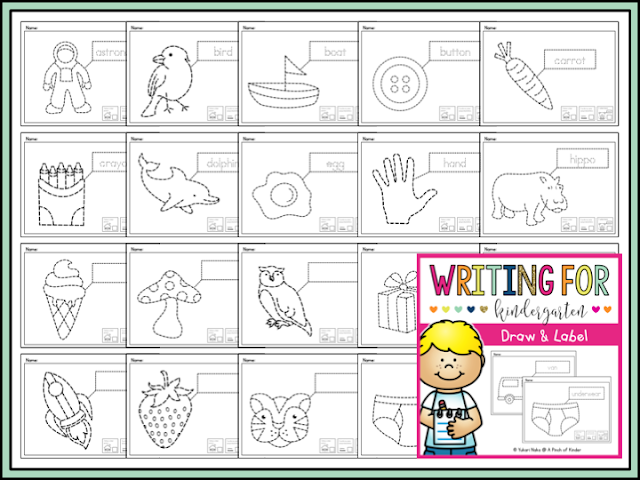 To help the kids practice these two goals independently I made up these wipe erase labeling practice sheets! So far the kids have been loving this centre! My kids need more practice with sight words so I made this pipe cleaner sight words centre! I got this idea from Darla's Instagram account. You MUST follow her if you aren't already. Students are asked to take a sight word off of our word wall, make the sight word on the pipe cleaner with letter beads and record it on the recording sheet. I got the word beads from Dollar Tree! You can click on the image below to get the printable shown in the picture above fore free! Here is a short recap on the number line unit we recently explored with the kids. I'm a little late but I'm here to share some of the Valentine's Day themed activities we did in our class this year!